Today you can’t think of social media marketing and not include twitter polls in your marketing strategy. Besides giving you first hand insight about how your audience feel, twitter polls is a trendy way of engaging with your audience. Setting up a twitter poll won’t require any technical knowledge, in fact it’s as simple as posting a tweet. Follow this guide on how to set up a twitter poll. One you are on the twitter page navigate to the home option. Select the “write tweet” button located on the top-right corner of the screen (the box has a feather inside). Clicking this will expand the screen where normally you would write your tweet content. Now select the “Add Poll” button. The button is located just below the tweet box indicated by one vertical line intersected by three other horizontal lines of different lengths. After selecting this option, two blank poll options will display. The poll allows for options ranging from two to four choices. By default the poll’s duration is 24 hours but you can change this up to seven days according to your wish. Although twitter polls don’t allow images, you can however add a hashtag prior to the main poll keywords to boost visibility of the poll. A tip to remember: Voters’ choices are anonymous and options chosen is only visible to them. The person who created the poll also cannot see the voters’ choices and can only see the aggregate number of votes that the poll has gathered. 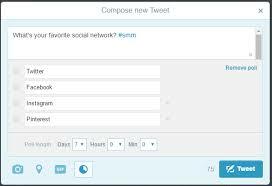 Now that you can comfortably set up your twitter polls, what are some of the benefits you derive from the poll? There is nothing valuable to a business than genuine first-hand insight about the consumer opinion. Businesses depend on such information to guide their marketing strategies as well as product success. So, twitter polls can be an invaluable feature as businesses can get such information without spending much. Twitter polls happens to be among the best performing engagement feature compared to the others, this is partly because they are still new and people love experimenting new things especially when it comes to socializing. The other reason is due to the freedom that the poll allows the audience to express their opinion through voting. The anonymity of the poll makes the poll authentic and credible as the voters have no fear of someone seeing what they voted for. When more people check your poll, this increases the visibility of your twitter page which in turn enhances your online media presence. This can perfectly work well for start-ups and small businesses that don’t have a huge following on twitter. The advantage of a poll is that you can ask your audience anything you want as long as it serves your interest and the audience will participate. Topics can range from politics, weather, sports, most favorable day of the week or even preference between cats and dogs! Creativity here is vital, making your polls interesting and fun is important to ensure they attract maximum engagement but ensure you don’t ignite conversations that can develop into hash arguments among your followers. The Christmas euphoria is almost culminating but the New Year is here with us. Although the rush hour shopping that comes with Christmas isn’t expected as we usher in the New Year, Twitter users will be more likely notching the web for the last-minute deals. Businesses and brands can take up this opportunity and engage their followers with twitter polls to weigh in on different options that they can consider which will give them complete command over what they choose to buy. Here is how you can use twitter polls to reach last-minute twitter shoppers. The long December month has plowed a deep hole in many people’s pockets, and an exciting deal that is offering discount will be welcome. Instead of just announcing that certain products or services will be sold on offer, Form a twitter poll in which you will let your clients weigh in by voting on a deal that they prefer the most. This will give you a general overview of the customers’ opinions on what your firm is offering as well as inform customers of the existing offer. A poll that is accompanied by a product tutorial, decoration ideas or outfit inspiration will attract more participants since visuals are better in capturing attention. Going through your followers tweets will inform you about their most pressing concerns that need to be addressed. It can range from the mode of service offered or an assortment of products they would like you to address. Since your aim is to create an impression of a New Year deal, think of ways that you can increase the demand for your products or services. You can even introduce a poll based on the main products and services that customers would mostly prefer at a certain time of the day or on a particular occasion. Since your aim is to stop people from scrolling and start engaging with your brand, introduce a poll that has a price offering to the people who will be on the winning side. The winners can earn coupons that will be giving them a discount when shopping for a particular product or services. Such a poll will popularize your firm and is also an excellent way to stay in touch and keep your business-customer relationship alive. One thing that people will always put a smile on people’s faces and inspires them is motivational messages. As we wind up 2018 and ushering in a new year, think of ways you can rejuvenate the moral of your followers as they prepare to meet new challenges as the year start unraveling. To attract engagement with your inspirational tweet, formulate a poll that will resonate with the above objective. You should, however, be creative as much as possible in your polls to ensure you drive the conversation in the right direction and you have achieved your objective. Take this chance and build the credibility of your brand that clients can turn to in their hour of need. Is it Ethical to use Automatic Favorites? There has been debates and quarrels taking rounds on how ethical is the use of use automatic favorites services. Conventional wisdom has it that going down that path is a step beneath the ethical standard line hence should not be practiced at all. While much may be said discouraging brands and people from using the service, there is no denying that a person or brand’s following correlates with how important they are among the social media circles. Take for instance venues hosting brands or even clubs booking artists, having a large twitter following beats clear the competition. Yes! The automatic favorites may be fake But the influence that comes with the high twitter following is very real. Here is a breakdown of what you get by using automatic favorites. Getting organic followers the natural way of cause is the right way but for a business that is out there to spread its name, get a following, earn their trust and sell to them may not be the best option. Start-ups especially find it hard to survive the economy and the stiff competition when they start out their account with a glaring big zero listed on their page for followers. Use of automatic favorites helps businesses get over this bulge quickly as they push up the numbers with real follower later on. Have you ever walked across the street and saw a huge gathering on the other side of the lane. The first instinct that strikes you is to go closer and get a glimpse of what is going on over there. This is the idea behind the use of automatic favorite services. Your automated favorites will definitely generate real followers as a result of your imagined popularity. Paying for automatic favorites services is the same as paying for a Twitter Ad Campaign, well the slight difference is that the later doesn’t allow twitter to get their hands on your cash. Another difference that is notable from experience is that Twitter Ad Campaign may take longer getting you the followers that you need right now while auto favorite will do this instantly. People love associating themselves with popular people and brands. So, having several hundred or thousand automatic favorites makes your account worth their attention. Auto favorites are the best marketing tools according to some social media marketing experts especially to start-ups and small businesses that don’t have the economic muscles to finance various marketing channels. 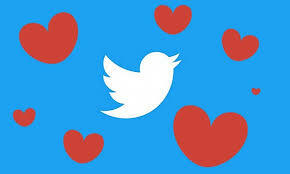 Use of automatic favorites is a marketing strategy that makes sense as any twitter’s paid advertising options. The caution, however, is to use the service with moderation. If by any chance your followers discover that you are using automated services to gain popularity, they will lose confidence in you which may be devastating businesswise. To avoid such a scenario, it’s crucial to go for a package that includes other features, e.g., retweets and followers to ensure your account looks authentic enough. Before investing your money in automatic favorites, you need to know what they are, how they operate and who can use them, to what extent and the advantages accrued to their use. The idea and use of automatic favorites were born out of the need to satisfy people and businesses desire to increase visibility on twitter. Basically, automatic favorites allow people to have many auto generated retweets on every tweet that they post. The huge number of tweets posted on the platform on a daily basis may make it hard for a brand’s tweets to get a good viewership and create engagement around the tweet. The auto likes come in handy here. When a tweet has several retweets and likes, twitter assumes that such content is worth the attention of more people hence ranks it higher than other tweets. 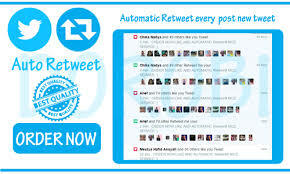 The auto favorites are generated by a system that is configured in a way that it can automatically detect every time a new tweet is posted by a subscriber. The system generates the favorites according to the agreement made between the service provider and the user. The number of favorites and the interval at which they are generated are some of the essential details that a user needs to concentrate on when making use of the service. Remember that your main objective is to attract organic followers. So, you need to settle on a number and an interval that won’t jeopardize the authentic appearance of your account. Auto favorites can be accessed from a service provider either for free or at a certain fee. The ones offered free of charge have few advantages and can take you a long time to achieve the visibility and popularity that you want. Brands prefer the paid ones because of their efficiency and effectiveness in increasing brand visibility within a short span. Getting a credible automatic service provider is a critical part of your social media campaign because they determine whether you will fail or succeed. A quick online such will give you hundreds of vendors. Although most of them can be reliable, there is however a portion that is there to take advantage of unsuspecting buyers who will take your money and offer you fake automatic favorites then take off before you realize it. This can both frustrate your work and probably ruin the reputation of your brand leave alone risking being flagged by twitter for spamming. To avoid this, narrow your online such to the best five vendors that you find. Now take a closer look at their websites. Are there customer reviews, how do they respond to customer enquiries, can you find these services around the clock, is there any trial offers before purchasing the services. Answer these questions as you review each vendor. You can even make a call or send an email to see how fast they respond. A credible service provider will most likely be available for customer queries and be ready to offer these services only when the buyer is satisfied that they are getting what they wanted without being pressurized. Visibility on Instagram has become a very important part of the modern world; yes, I said the modern world. You will be shocked at how easy is to make money off of instagram if you have the visibility. There are people who are getting contracts worth millions simply because they are popular on instagram. This popularity cannot come without visibility. How then do you get this visibility? You have to work towards getting things such as the free instagram autolikes and likes. 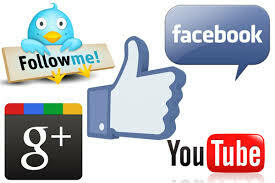 Having likes and followers in large numbers will definitely put you on the map on the platforms. How do you get free instagram autolikes? The truth is that you cannot just sit and wait; they will not come. You have to intentionally go out and work for them and seek them. You have to put in the required effort and time to have them coming your way. There are a number of easy shortcuts that you can use to get the free instagram autolikes and this is where positioning becomes important. It is commonly said, in real life, that you are the sum of the five people that are closest to you. Well if you also want to succeed on instagram, you have to start associating yourself with the people that are already popular on the platform. How do you do this? It is very simple. First and foremost follow them. There are well known celebrities and even normal people that are extremely popular on instagram. Make sure that you follow these people. Some of them are usually philanthropic and will follow back anyone who follows them while some wont. Do not concentrate much on whether or not they are following you back. The fact that you are following them is enough to get you to the next stage. Once you follow these people, make sure that your presence is felt if you want to get the free instagram autolikes. Please do not confuse this statement in any way to mean that you should start stalking them. It simply means that you will need to be very active. Comment on their posts, like their pictures and so on and so forth. Some of these people usually throw out random polls and questions out there. Participate in such. Once in a while, post a funny meme on there too. Make sure that your replies are consistent and eye catching. Make sure that your comments and replies always have good content. This will put you not only on the radar of the celebrity that you are following but also on all the other thousands of people that are following them. The celebrity will normally just allow you to run your small show there provided that you don’t overcrowd their timeline. Especially stick to the controversial topics. Human beings are simply just attracted to controversy; especially on social media. They just love to get the scoop on the low down and dirty of the currently happening events. Give them this and you can be sure that you will get the free instagram autolikes. Why IG Users Get Less Number of Free Instagram Autolikes? Instagram is a social media network that is mainly all about engagement. For a fact, it is definite when it comes to advertisements and you can’t have limitless access too. It is essential to understand that IG seriously concentrates on contents that are meant to encourage other users to be engaged. Indeed, it is impossible to directly sell product or service through it. Essentially, one could not come up with a long content marketing on the site. The depth and length of the content is limited unlike in other social media platforms. Social network engagement is never a one-way type of interaction. This means that when others like or comment on your post, it matters to return the favor to them. In IG, responding to comments can be one of the best ways to catch the attention of more followers. This is an effective way to keep your audience engaged. In truth, it is impossible to keep your IG profile private and anticipate having an extensive engagement. Once your profile is private, other IG users will need to ask for your approval first before they can interact with you, if you’re not a famous personality, people won’t waste time waiting for your permission. If your account is private, then expect to have less number of free Instagram autolikes. Aside from sustaining a constant posting schedule, it matters to disseminate the content or post you share all through the day. Spread or post them equally – for example, post every 4 hours; divide the time wisely so your followers won’t get irritated seeing limitless number of posts coming from you. It is hard to captivate the attention of IG users if you are not sharing good enough content. It is worth noting that in IG, it is very crucial to post the highest quality and the best videos and images that you could take. As much as possible, get rid of poorly edited videos and images, remove poor quality pictures and ward off anything that appears cliché. You’ve got to be creative enough to lure the attention of your target audience. Strive harder to post high quality content that could stand best among the rest. Avoid high volumes of content. Know what is worth-sharing and what is not. Because IG has millions of active users around the planet, it is not a child’s play to obtain a significant number of free Instagram autolikes. So, consider the guides shared above so that you could eventually magnify the number of your followers.